How to Get H1 Visa for 2018 and 2019? With the President Trump administration in power, the concept of getting a US visa has become a big question mark for some people. The H1B Visa is probably one of the most competitive ones, if not the most. Several foreign employers leverage the same to hire people with advanced skills and knowledge. While the same might have been a bit easier before, the tables have completely turned now. With the new season for visa form filling approaching, people are finding easy and effective ways to gain access to their H1B visa to be able to fly out to the United States and possibly work there as well. Before we move forward to discussing the tips based around the same, let us focus on the main points that need to be kept into account when it comes to the H1B Visa and the procedure encircling it. It is mandatory to get sponsored by a legit US employer without which you can’t even proceed with the further steps. Not just that, even the employer needs to receive an approved Labour Condition application. These two clauses are a must. While there are some tips for the same, here the top ones that can help you snag that Visa with ease. Due to the lottery procedure which is often conducted, it is necessary to be at the top of your game right off the bat. This is mainly achieved by being first in the line and submitting the form right after the window opens. Due to the overflowing demand, the window is primarily open just for the first five business days after USCIS begins the petition filings. It is thus best to stop with the procrastination and be proactive and submit the forms right off the bat. If you didn't know, it is possible for USCIS to revoke any duplicated petitions of a single individual by a single employer. Although, the other way around is not an issue. You can easily file your petition with multiple employers for enhanced and better chances of getting the VISA. This gives you a chance to have better chances of getting it, and that too change the employment after the VISA is approved. The evidence is a must when it comes to the H1B VISA. The process of approval completely relies on how well the petition convinces the officials about the authenticity and transparency of the process. Convince them that the employer is eligible enough to pay the prevailing wage and you are good to go. Apart from that, make sure that all the necessary documents and information are mentioned in the petition files only. Any kind of leeway or mistake in the documentation will result in the form ending up in the trash bin. No official has the time to check and cross-check the provided details, that is completely up to you to fill out. Make sure to check the provided details and addresses properly before filling out the petition. This is an important step. Make sure to double check all the relevant field for the final time before drafting it off. 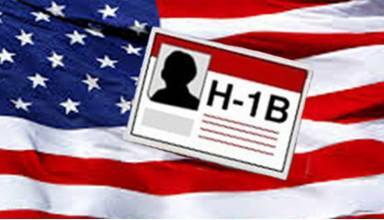 Acquiring and retaining an H1B VISA in today's date is a tough nut to crack. With the imposed implications and rules by the Trump government, the entire process has become a lot complicated and tough to deal with. This is why it is best to ensure that you are aware of all the necessary tips and tricks before filing for a VISA. Learn the ins and outs before jumping head first into it. After this process now, build your self-confidence. Start to take more deep knowledge of your domain. Start preparation of your stay in the USA. If you are visiting so many visa consultants then you will get confused because every visa service provider will give you different idea and tricks. Don't bother about your visa application and get relax. Kindly note it Dbametrix is not offering and providing any kind of H1 VISA and any other visa consultancy services. We published this article for providing help to software professionals only. Exclusive and professional remote Database services offered by Dbametrix with strong response time and high availability for important and critical Oracle databases. Expert remote dba team of Dbametrix is having wide experience to manage large and critical database with quick problem resolution.